Opera Mini 4 was one of the best mobile phone browser since long time, and was competing some others like Skyfire etc. 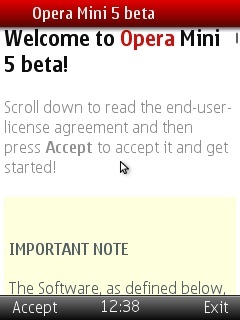 but now the Opera team has launched the beta version of Opera Mini 5 which looks too promising and well built. 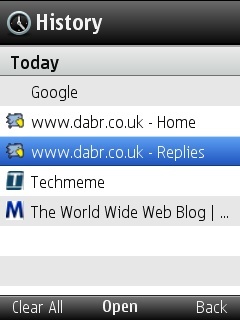 Tabbed browsing – Just like the browser on your computer or in the iPhone, Opera Mini now has introduced tabbed browsing which helps users to browse multiple sites at the same time. 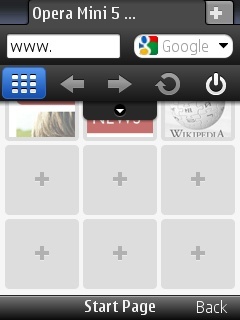 And you can shift through the tabs in a pretty easier way. Advanced sleek look – It isn’t the old design which Opera Mini had earlier. The Opera Mini 5 beta has a better and geeky look with web 2.0 like looks which will never make you feel bored or confused while browsing through it. Speed dial – You can open your favorites with speed dials in Opera mini. You can set the speed dial assigned to a few favorites of yours and this helps in better experience of fast browsing through Opera Mini. Copy/paste/search – Within the page, you can select anything and copy or paste there, also can search within a page. 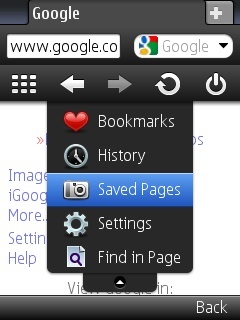 The copy/paste option is also newly introduced in the Opera Mini 5 beta! Advantageous for touchscreen phones – For the normal keypad phones, the changes might not be quite visible but the touchscreen phone users will see a good change – Kinetic scrolling and zooming features! Saving passwords – When you enter any credentials to login to any website, Opera Mini 5 will ask whether to save the password for future or not. 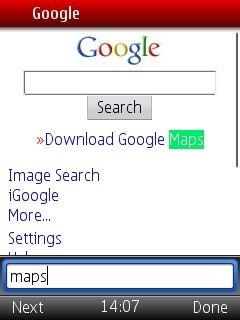 Its a classic feature added to the browser, which usually can be seen in a normal web browser and not a mobile browser. Compression of the web pages – Web pages do not load with the same size, they are compressed to upto 90% of original size and then loaded, so that the page load becomes faster and also less bandwidth usage is seen as you are browsing through a mobile device and some networks charge for bandwidth usage. 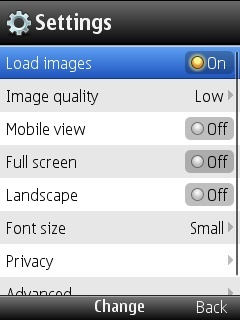 More settings – The settings section has been worked on more to give you a look on how you can use the browser better. You can load/block images in the web pages, change the font size, view of the web page. 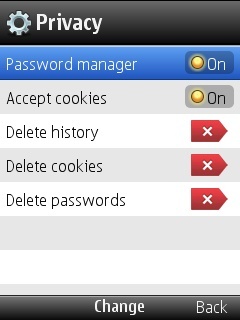 There are privacy settings where you can turn on/off the password manager and also accept/reject cookies etc. 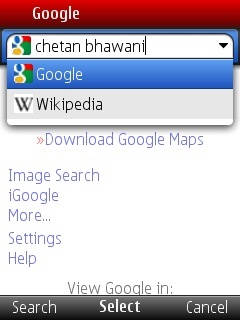 The browser is perfectly built but still in beta version to take feedback from users. 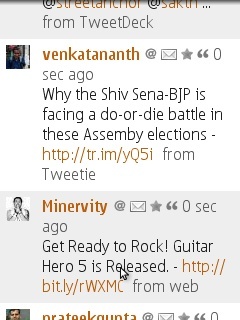 As of now, while browsing i did not see any bug in the mobile browser. You can download Opera Mini 5 beta from m.opera.com/next so that the site recognizes which mobile you are using and let you download the corresponding browser installation file. The things you mentioned are really good and the interface you mentioned was really friendly.